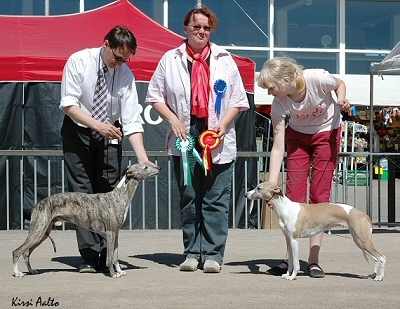 23.07.2006 Honey was mated today by Mojo, more information in the puppy page. 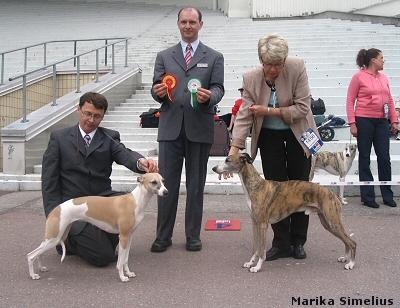 Int French Belg Lux NL Fin S Ch Taraly Stairway To Heaven "Mojo"
BIS Fin S Est Lv Ch Peperone Partyline "Honey"
Hertta was mated today by Mojo, more information in the puppy page. 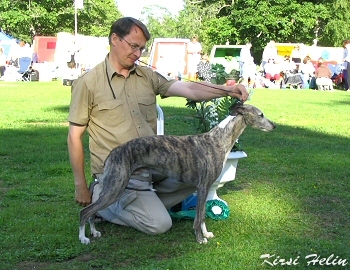 Fin Est Ch FinJW-04 EstW-05 Pipsqueak Hunajapupu "Hertta"
13.07.2006 Little Lily is celebrating her 3-year-old birthday today. 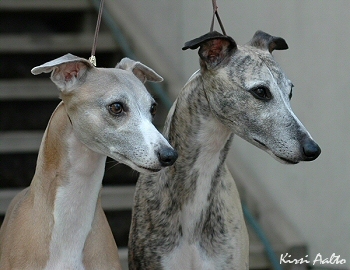 30.05.2006 Happy 3-year birthday Loulou, Mickey, Skye & Song! 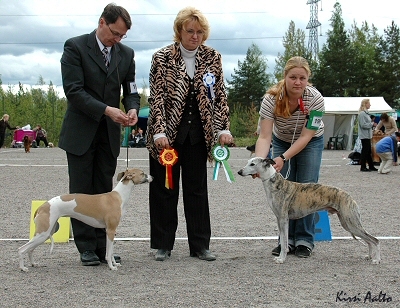 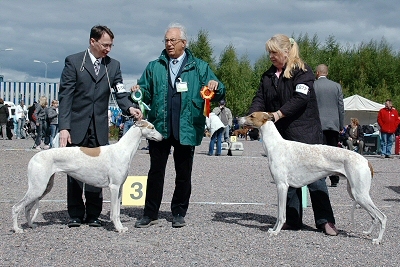 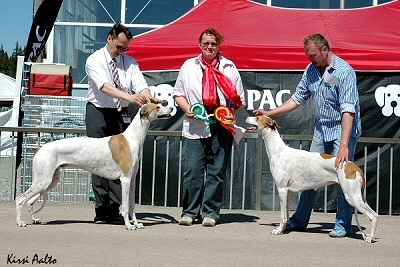 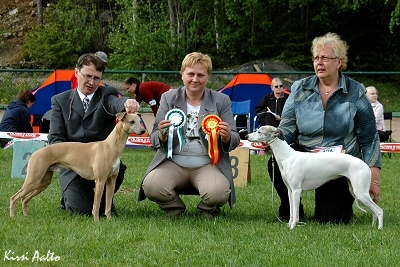 Beckham, Whiptails Peshewa Creek EXC/1, best dog 1, CC, BOS, new Finnish Champion! 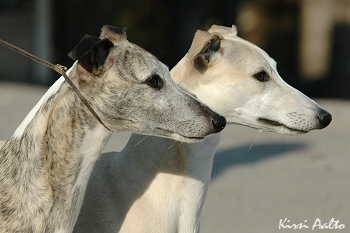 25.05.2006 Happy 9-year-old birthday Lufsen, Redi, Riku and Taffi !